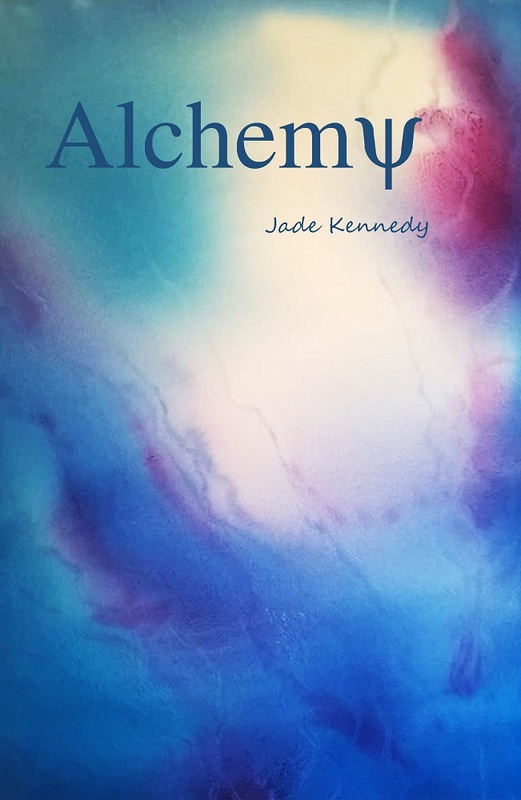 Jade Kennedy’s Alchemy is a collection of flash fiction interspersed with poetry that reflects ethereal transformation often reflected by the changing of the seasons, surrealism and magic. Her poetry often has an enchanted atmosphere and is insulated with similes and metaphors that link the natural world to everyday life, a link that is often broken by everyday life. Stars ‘pinprick the palms’ and trees ‘breathe with life’ to intensify the interdependency between dark and light and highlight an isolation that is vital to the impending transformation she speaks of. I am drawn to poetry in which a quote, even when taken out of context, leaves me feeling sanctioned. My favourite poem in this collection is The Lies I told my mother with its sporadic breaks in line and metre. Concluding the speakers reflection on a box of lies she told her mother which she found while rummaging she declares, ‘Leave that which scars the spirit to fade beneath the dust.’ An announcement that transcends the mainspring of any mode of repentance or, when out of context: self-doubt. Kennedy’s flash fiction lingers with you like an excerpt of a bewitching manuscript where you create the beginning and the ending yourself in an expeditious moment after reading, like a narrative heartbeat. The method helps to convey considerably more than what is intended by the author as the short paragraphs reach underneath the readers’ own realm of experiences to fill in the blanks. The flash fiction India is my favourite in the collection as it targets the kind of isolation imperative to transformation. It also holds my favourite quote in the book: “The dark is more than a lack of light, clarity. It breathes as deeply as any ray of sunlight.” The female subject in India is adored by men because of her ‘sense of love.’ She exposed to anyone who would listen how she received the quote, the mantra for her life, from a Hindi man dressed in white who waited until he saw someone worthy of it. The proclamation by the speaker that “she tells anyone who would listen” almost betrays the story as false. There is a power in the secret of an origin story, even with something so simple as a quote. The suspicious validity of the story on how she received the quote is isolating for the female subject but only adds to her allure. She is worthy because the Hindi man told her so. Is this divine validation, whether true or false, where her infatuating sense of love comes from? This ominous quote with elusive origins is inspiring from a post-structuralist reader-response Barthesian perspective. Regardless of provenance, the mantra can influence where it invades perception, branching out into different manifestations for each person whose ears it reaches. Alchemy is a charming read as it leaves so much to inference by the reader. I enjoyed the mortal connection to mysticism which gives texture to the frame of trepidation and transformation. You can devour this collection in one sunny afternoon while the wind blowing through your ears creates a whirlwind of your musings. Alchemy is available for Kindle from Amazon UK, and for Kobo from the Kobo store. Looks promising, is it going to be available on amazon india?